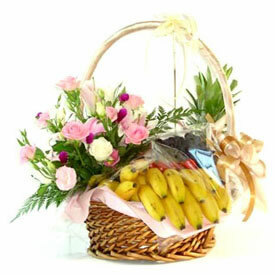 This attractive basket filled with fresh seasonal fruits ( 1kg apples , 6pcs bananas , 1kg grapes 500gms kiwi and 1 pineapple ) along with 5 roses, 5 carnations flowers will be an ideal gift for your loved ones in all cities in India on their special day. 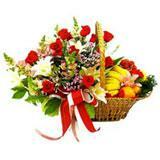 You can be sure that the recipient will definitely appreciate this gift from you. 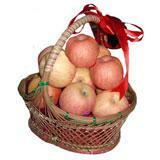 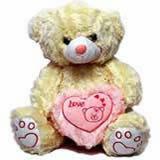 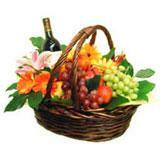 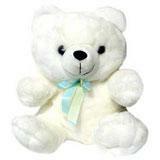 Moreover, you can also send this fruits and flower baskets along with other Gifts across India through GiftsAcrossIndia.com.